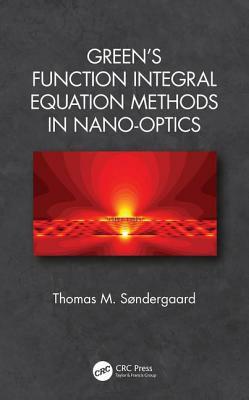 This book gives a comprehensive introduction to Green's function integral equation methods (GFIEMs) for scattering problems in the field of nano-optics. First, a brief review is given of the most important theoretical foundations from electromagnetics, optics, and scattering theory, including theory of waveguides, Fresnel reflection, and scattering, extinction, and absorption cross sections. This is followed by a presentation of different types of GFIEMs of increasing complexity for one-, two-, and three-dimensional scattering problems. In GFIEMs, the electromagnetic field at any position is directly related to the field at either the inside or the surface of a scattering object placed in a reference structure. The properties of the reference structure, and radiating or periodic boundary conditions, are automatically taken care of via the choice of Green's function. This book discusses in detail how to solve the integral equations using either simple or higher-order finite-element-based methods; how to calculate the relevant Green's function for different reference structures and choices of boundary conditions; and how to calculate near-fields, optical cross sections, and the power emitted by a local source. Solution strategies for large structures are discussed based on either transfer-matrix-approaches or the conjugate gradient algorithm combined with the Fast Fourier Transform. Special attention is given to reducing the computational problem for three-dimensional structures with cylindrical symmetry by using cylindrical harmonic expansions. Each presented method is accompanied by examples from nano-optics, including: resonant metal nano-particles placed in a homogeneous medium or on a surface or waveguide; a microstructured gradient-index-lens; the Purcell effect for an emitter in a photonic crystal; the excitation of surface plasmon polaritons by second-harmonic generation in a polymer fiber placed on a thin metal film; and anti-reflective, broadband absorbing or resonant surface microstructures. Each presented method is also accompanied by guidelines for software implementation and exercises.